Use the site-level data filter to create data filters at the site level. You can select the same time period options available under the master setting with the additional option to force a particular site to follow the master setting. 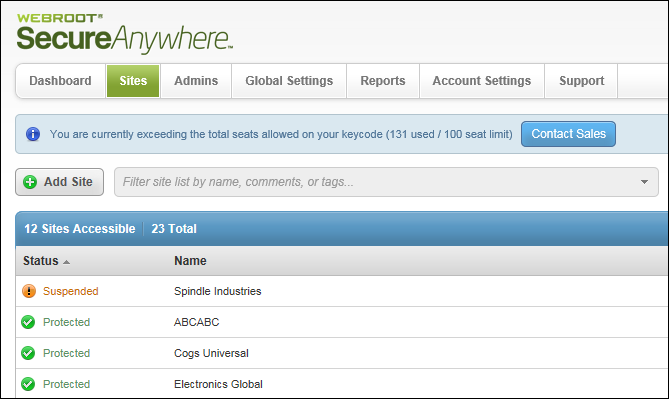 Within the site list, for the site that you want to set data filters for, click the More info button. The More Info panel displays for the site you selected. Note: GSM limited admin permissions have been updated to grant access to the settings tab when editing a site. 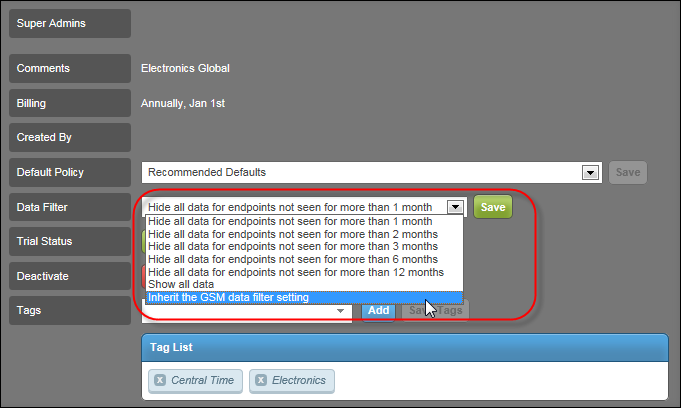 From here you may change the default site policy, data filter setting and report distribution list. The system updates the setting.